Demand by South Africans for EB-5 Investment visa grows to 500% over past three years. Industry data reveals that South African demand for this program is the highest it has ever been, with a 486% increase in the number of EB-5 petitions filed by South Africans over the past three years. This huge growth in demand is the highest among European, Middle East, and African countries. “Most EB-5 investors are seeking opportunities for their families and children in the US that offer excellent education, career, and quality of life options,” said Bernard Wolfsdorf, former President of the American Immigration Lawyers Association who grew up in Durban and immigrated 40 years ago. The EB-5 program requires an “at risk” investment of $500,000 into a project that creates 10 full-time jobs for Americans. This provides investors (and their spouses and unmarried children under the age of 21) permanent residence in the US. As a job creation program with an immigration benefit, the EB-5 program has brought in billions of FDI over the past decade and has helped created tens of thousands of jobs for US workers. However, time may be running out for South Africans to take advantage of the EB-5 visa program at the current investment levels, as proposals to increase the minimum investment amount from $500,000 to $1,350,000 have been pending since January 2017, waiting for final implementation. These changes could occur as early as December 7, 2018, the date that the budget for the US federal government was extended to last week by President Trump. Below are 5 things to consider about the EB-5 program. 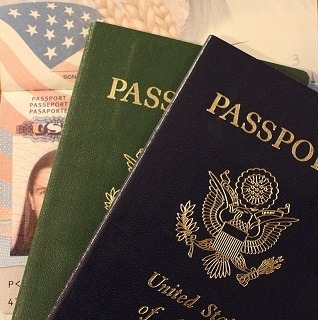 A green card allows one to live, work, and study in the United States permanently. In contrast to other work sponsored green cards, the EB-5 provides the maximum career flexibility immediately upon arrival in the US. Children who receive green cards with their parents are able to apply to universities on the same footing as American citizens, rather than as foreign students. They often qualify for lower in-state tuition at public universities and have an easier time finding a job after graduation. Green card holders become eligible for citizenship 5 years after becoming a permanent resident. Not all US immigration attorneys specialize in preparing EB-5 green card applications. It is important to work with an experienced attorney who can guide you through each step of the EB-5 process. Investors should also work with an immigration attorney who only represents their interests – not the interests of the EB-5 project. This ensures there is no conflict of interest. Most EB-5 investments are in real estate development projects, but there are many different projects on the market to choose. Investors must conduct thorough due diligence on the project and should consult their financial advisors before choosing an EB-5 investment. Investors must feel confident that the US company will be able to execute its business plan and create the jobs needed to support EB-5 petitions. Additionally, the U.S. company should have a clear exit strategy in place to ensure that EB-5 investors are repaid their capital investment at the appropriate time. Investors must document the lawful source of their $500,000 investment. An immigration attorney will help strategize the required documentation. This usually includes tax returns, bank statements, employment records, and property records. Investors should consult an experienced international tax advisor to discuss how US green card status can affect tax liability, and determine the appropriate tax strategy. Based on current processing times, it takes approximately two and a half years for an EB-5 applicant to receive a green card. Once a green card is issued, lawful permanent residents are expected to make the US their primary residence, but they retain the ability to travel freely outside of the US, and special travel documents can be obtained if longer absences are required. As South Africa has become a reasonably-sized market for EB-5 investment, more “Regional Centres” will be marketing their EB-5 investment projects in the coming year, further increasing the number of immigrant investors from South Africa. Attorney Robert Blanco will be in South Africa from November 13-19. If you would like to schedule a no-cost consultation to discuss the EB-5 visa option, please contact him at rblanco@wolfsdorf.com.